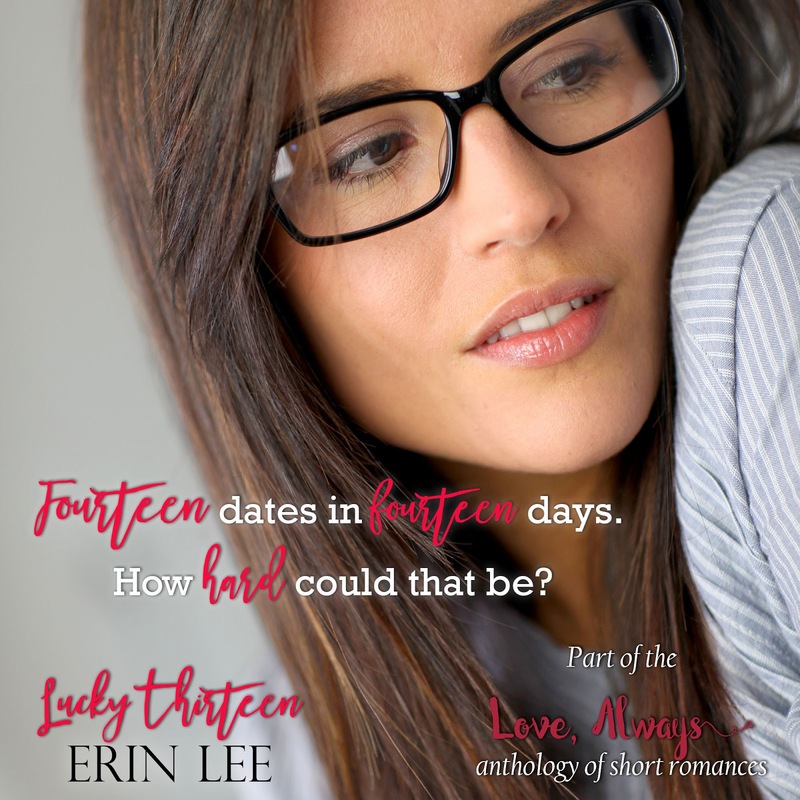 Enter here for a chance to win one of TEN copies of the Love, Always anthology! 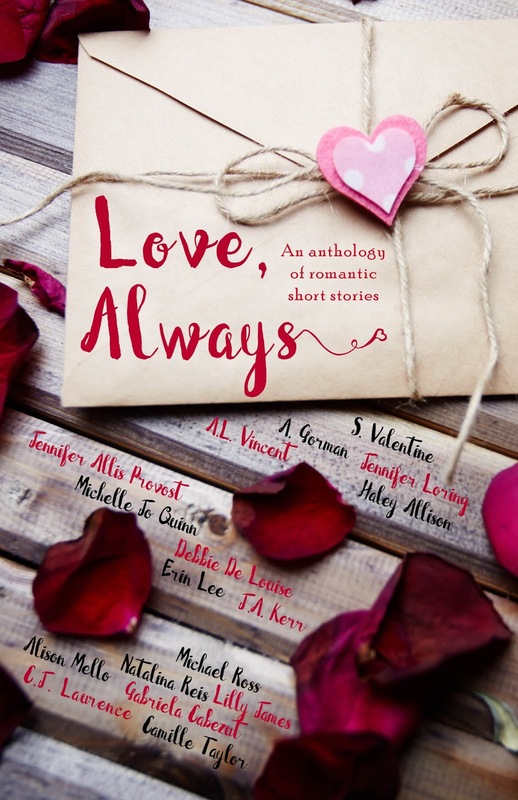 A group of romance authors has written an anthology of short stories called “Love, Always” that encapsulates love in many forms. This anthology will ONLY be available as a giveaway prize. It’s so exclusive that anyone who owns it could be considered a publishing VIP! Love, Always is the perfect recipe for romance. 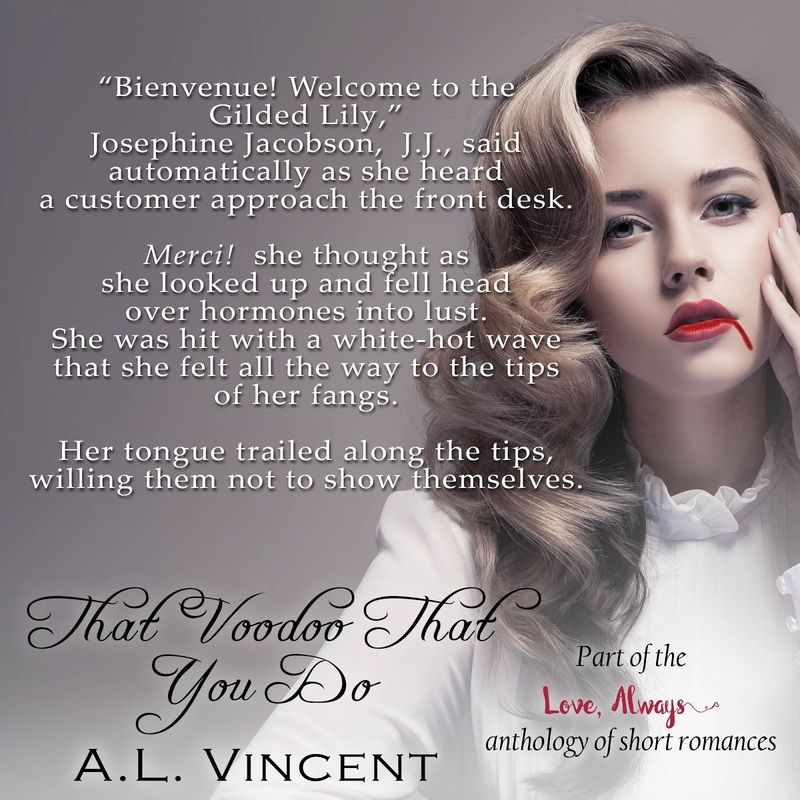 Thirteen authors have created a collection of stories filled with desire ranging from hot and steamy, to sweet and sentimental. Whether they are what you expect or not, we guarantee a love filled with laughter and passion just for you. 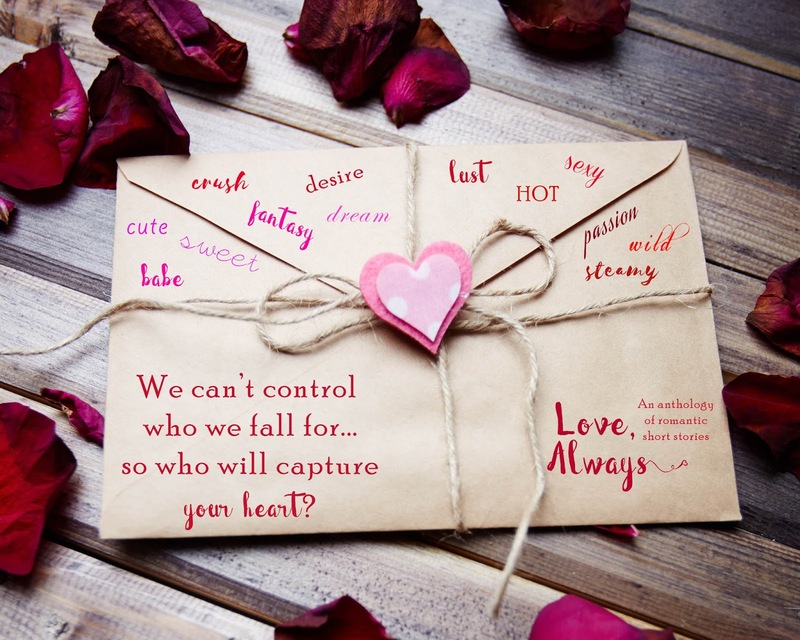 The only question that remains is, we can’t control who we fall for…so who will capture your heart? Enter here to win one of three copies of the Love, Always anthology! Giveaway winners will receive notification via email when the anthology is available. Hoo boy, I’m gonna have fun with this one. Currently, I’m typing this standing up because I have to keep my laptop away from my son. That alone should give you some insight on my circus of a life. As an author, student, mother, and co-owner of a business, there is never a dull moment. I literally never get bored and am always working on something, whether it be a new teaser design or a drama-filled scene in a book. Around 7:30-8 AM, my husband and son wake me up. I kiss Hubs goodbye and laze on the couch for about 30 minutes, trying to wake up, and then I finally remember I need coffee or something to eat. 8:30-9:30, I get my son dressed, fed, and happy while I simultaneously catch up on business email and notifications from the night before. K, so full disclosure, he’s not dressed today. He’s naked and seems to like it that way. At least his diaper is clean, right? 9:30-10:30, I let my son play or watch TV while I get some work done. 10:30-2, in today’s case, I get myself and Bubby ready and go out to lunch with family and wherever else they decide to take me today. While we’re out, I’m like, “Hey, can I run into Bi-Lo and pick up a few groceries while you hang out with Bubby?” Two birds with one stone. The biggest perk of my life is having plenty of loving babysitters around. 2:30-3ish, we’re home, and my son is finally in bed for a nap. Whew! Finally time to get some real work done, whether it be homework, designing, or writing. 4:00, Bubby wakes up crying. Great. Now he’s going to be in a foul mood, and I’m going to have to try to get him out of it for the next 30 minutes. So much for hitting 2K words today. 4:30-6:30, I try to balance housework, keeping Bubby entertained, and cooking dinner while I continue to respond to emails and talk to clients as I can. 6:30-9:00 is dinner and family time. We keep that religiously. I get dirty looks if I so much as take my laptop out while family time is going on. 9:00 onward, I’m lucky if I have enough energy to stay awake. If I do, it’s back to more writing or graphic design homework until I finally get to the point where I can’t keep my eyes open. This doesn’t even include the myriad of small tasks that have to be done during the day, such as laundry, feeding the dog, taking out the trash, and cleaning my son’s high chair tray a zillion times. I’m always in a frantic state of “GET ‘ER DONE,” which is probably why I get so exhausted at night. At least I get plenty of sleep. I’d be a zombie if I didn’t. Some days I wake up as early as 5:30 AM to get in some extra writing or “me” time. The early morning hours are quiet, dark, and private, which I absolutely love. I find them inspiring for some reason. Yes, I’m that weird. Then I get tired around 8 or 9 and have to chug the coffee. Adulting is hard. I need a day at the spa. Thanks everybody for your interest in my writing. Hopefully I’ll get the chance to post again next week. I missed Week Two of the Authors Blog Challenge, but as part of the third week, I’m here to give out some book marketing tips to help budding writers and authors on their way. First, before I get started, let me say that none of these are set in stone or foolproof. However, I’ve learned some of these by experience and others from those who have experience. I’m still a little new to the author world myself, but before long, if you immerse yourself in “author culture” (and yes, that is absolutely a real thing), I think you’ll find these things are generally true. Tip #1: Get a great book cover. People will absolutely judge your book by its cover. Why? Because it’s their first impression of your work. Just like you buy cereal at the grocery store based on the box, people will buy your book based on the cover. I know because I’m guilty of one-clicking books solely due to the cover art as well. Make sure it accurately represents the key components of your story, such as the looks of the characters, the mood, and any key elements, such as weather, a weapon, etc. Having a professional cover designer create the wrap for your masterpiece is absolutely crucial. Selling a badly covered book is going to be nearly impossible. Tip #2: Connect with other authors. Your biggest source of support and knowledge is going to be your peers in the writing industry. Authors will often team up by putting their books together in bundles for giveaways. They’ll also share each other’s work because they know how hard it is to be seen and believe the success of each author counts toward the whole. Other authors will also share critical articles and tips you can use to improve your writing and marketing strategy. Tip #3: Connect with book bloggers. 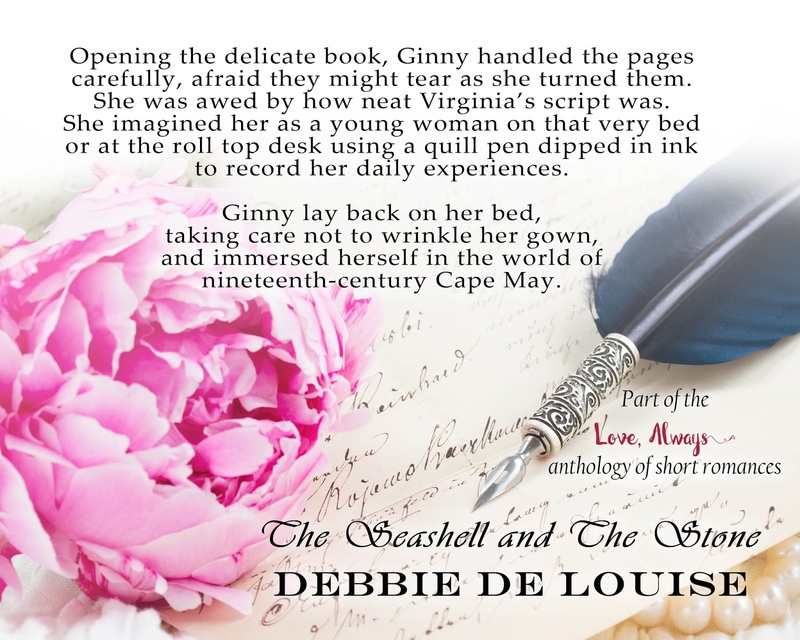 Even with the turmoil that has besieged indie authors courtesy of Amazon lately, blogger book reviews are still a wonderful way to get noticed and get feedback on your work. 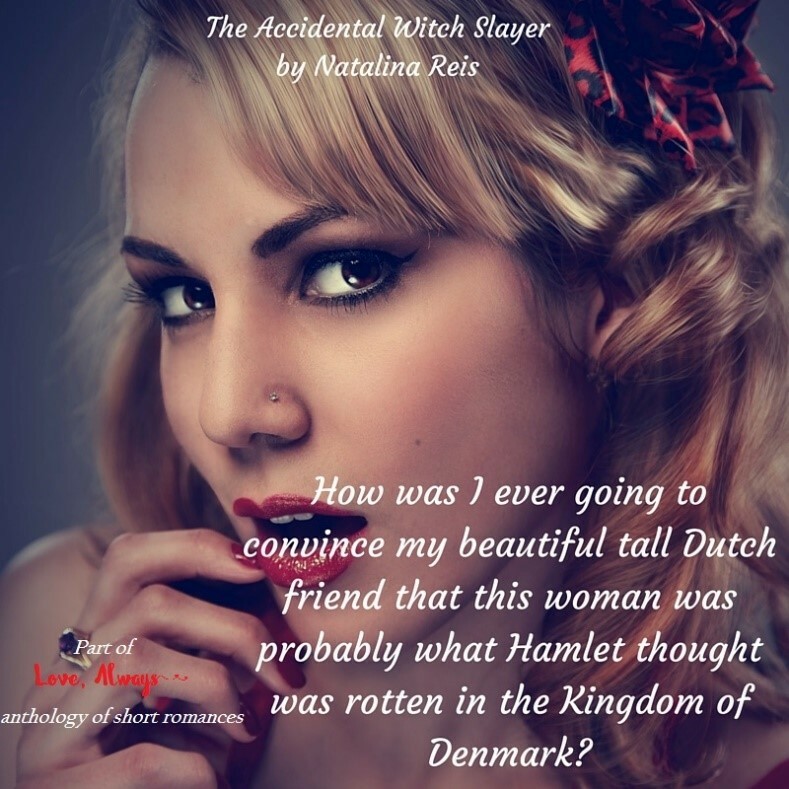 Purchasing or organizing a blog tour will get you new followers and put your name in front of a crowd of readers just dying for that next great read. Going on tour may or may not boost your sales, but every chance you have to get out there in the public eye is a chance to show your talent and build your fan base. Tip #4: Find your audience. Romance or erotica author? Facebook has thousands of readers looking for your next steamy teaser. 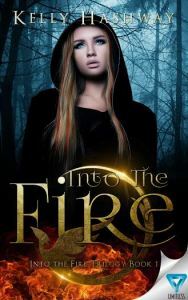 Young adult author? Instagram is where the teens are hanging out these days, and they’ll absolutely love your “bookstagrams.” Mystery, thriller, or horror author? Look for blogs that list your genre as one of their favorites and compile a list. No matter what you write, there’s an audience out there somewhere with your name on it. You just need to find it and immerse yourself in it. Tip #5: Finish your series before you publish Book 1. This is something I’m currently learning the hard way. People don’t want to buy book one of a series–especially if it contains a cliffhanger–without knowing the next two or more books are right around the corner. It’s painful to wait months on end for a continuation of a series. Think about how your readers will feel at the end of your first book. Will everything be wrapped up neatly in a standalone? Or will they be pumped with adrenaline, dying to see what happens next? If it’s the latter, definitely wait to publish until the series is complete. Then you can release your books in quick succession so you can feed the readers’ hunger and keep them interested in your work. Tip #6: If you’re still writing your book, tailor your content to your intended audience. For example, romance readers love alpha males, HEAs, and series of standalones. If you’re aiming to please the romance crowd, you might also want to consider keeping your characters faithful to each other (a.k.a. no cheating). Tell the readers in the book description what they can expect so they won’t have to be afraid of buying it. People will be more willing to invest their money if they’re sure they won’t be disappointed. If you’re writing for young adults and teens, pick names that sound trendy and/or unique. Teens love books with main characters that have fresh, original names and plenty of flaws to endear them to the reader. Hope this blog post was informative and helpful to you! Stop by this blog next week to hear about Character Inspiration. Hello, writing world! It’s been ages since I wrote in this journal. I’ve been swamped with author, mommy, and promoter duties, so please excuse my lengthy absence. Today I would like to show you my “writing room” as part of an Authors Blog Challenge I’m participating in. Unfortunately, it’s nothing Instagram-worthy or inspiring, but it might lend some insight to the struggle a toddler mama goes through to find even the smallest sliver of time to write. Yep, that’s the gist of it. We live in a small modular home in the country that has only three bedrooms, one of which is our office/game room. The office makes me feel claustrophobic, so all my writing is done right here on my living room couch. All I get is my couch, my music, my laptop, and my pretty throw blanket. Everything else belongs to the 2-year-old love of my life. As you can see, even down to the cardboard slab in the corner with his crayon artwork all over it, he is the true owner of this house. We merely pay rent, cook his meals, and provide items for his entertainment. He’s a bit spoiled, but not a one of us would have it any other way. Someday, I dream I might own a lovely house with several bedrooms, one of which has a gigantic window and can serve as my writing room. You can’t see in this picture, but the back door has a view of the deck and I get to watch plenty of birds flitting to and fro throughout my writing time. If it’s raining, I can listen to the tinkling of raindrops on our deck’s tin roof. If it’s at night, I can chuckle wickedly at the sound of beetles meeting their demise via our trusty bug zapper. Lots of wonderful ideas and chapters have been born on this couch. Another place I like to sit is the chair next to it, which is near a window and allows a cool breeze to sweep in whilst I’m soaring to worlds unknown. That’s all for today! Keep an eye out for The Sister Code, DORK Series Book Two, coming August 2, 2016.
about is falling for the new guy in town—Logan Schmidt. drawn to Logan in a way she can’t explain, but she’s not exactly complaining. Everything is perfect…except it’s not. Once she’s reborn, she’ll forget Logan. For twenty-three-year-old Rebecca O’Connor, there’s only one reason to live…her little sister, Raina. Through years of growing up in an abusive home, Raina and Becca have formed an unbreakable bond…until Raina falls in love and elopes. For the first time in her life, Becca is on her own. After breaking up with her boyfriend, she is homeless, broke, and she’s losing her grip on her life.